honest conveyor of the facts? On his Fox News show of 7/8/10, Glenn Beck quoted Dr. Donald Berwick, the new "recess appointment" as administrator of Centers for Medicare and Medicaid Services, out of context to make him out to be an advocate for rationing health care and a socialist. 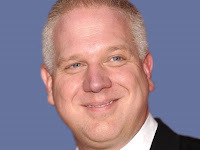 One again, Media Matters explains how Beck distorted Berwick's words to serve as fodder for Beck's far right propaganda. "it confirms everything we said about him." BECK: Here's Berwick on rationing, quote: "The decision is not whether or not we will ration care. The decision will be whether we will ration with our eyes open." Mark my words: complete lives system. No one in the New York Times will even know what that is. But you will, 'cause we talked about it a year ago. It confirms everything that we said. Everyone, everyone, everyone denied this, except for Fox News and a CNS reporter who actually asked Robert Gibbs about his confidence in Berwick's nomination considering his rationing comments. Beck, Fox News repeatedly pushed rationing canard. In their coverage of President Obama's health care reform effort, Beck and Fox News repeatedly claimed or suggested that reform legislation would impose rationing into America's health care system. BIOTECHNOLOGY HEALTHCARE: Critics of CER have said that it will lead to the rationing of healthcare. BERWICK: We can make a sensible social decision and say, "Well, at this point, to have access to a particular additional benefit [new drug or medical intervention] is so expensive that our taxpayers have better use for those funds." We make those decisions all the time. The decision is not whether or not we will ration care -- the decision is whether we will ration with our eyes open. And right now, we are doing it blindly. Indeed, insurance companies already ration care. The insurance industry has already admitted that they currently use cost benefit analyses to determine health care coverage. In an interview with NPR's Morning Edition, Wellpoint chief medical officer Dr. Sam Nussbaum told co-host Steve Inskeep that "where the private sector has been far more effective than government programs is in limiting clinical services to those that are best meeting the needs of patients." Beck claims that Berwick's "redistribute wealth" makes him a "blatant socialist"
BECK: Well, the New Yorker, they caught me. There's that story with my big fat face on it. Then a year ago they wrote this about me: "His ratings ... have gone up from his bottomless grab bag of fearmongering and inciteful" - I don't think they mean that in a good way - "inciteful comments about the coming redistribution of wealth." What fearmongering? What could I have possibly been thinking? We need to clear that up. Right from the horse's mouth. From the guy who Obama has just appointed the head of Medicare and Medicaid, he'll straighten this out. Don Berwick, let's hear it for Don. BERWICK (VIDEO): Any health care funding plan that is just, equitable, civilized and humane must, must redistribute wealth from the richer among us to the poor and the less fortunate. Excellent health care is by definition redistributional. BECK: Do I need to say any more? I think that pretty much puts me in my place, doesn't it? Now how does the President respond to this blatant socialist running our health care system? Well that's next. Medicare, Medicaid are popular programs that are "by definition redistributional. "Medicare and Medicaid, which Berwick will oversee, are federal programs that provide health insurance to people who are elderly, disabled, or in low-income brackets. The funds for Medicare and Medicaid come from federal tax revenues, including a 1.45 percent payroll tax on all earnings. In other words, Medicare and Medicaid are funded by the redistribution of wealth. A June 2005 Kaiser Family Foundation poll found that 74% of adults "say Medicaid is a 'very important' government program, ranking it close to Social Security (88%) and Medicare (83%) in the public's mind."